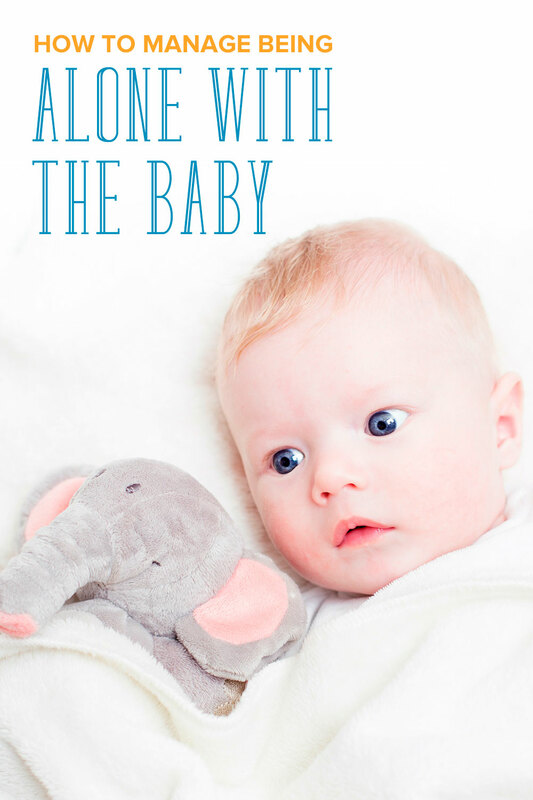 Are you scared to be home alone with your baby? 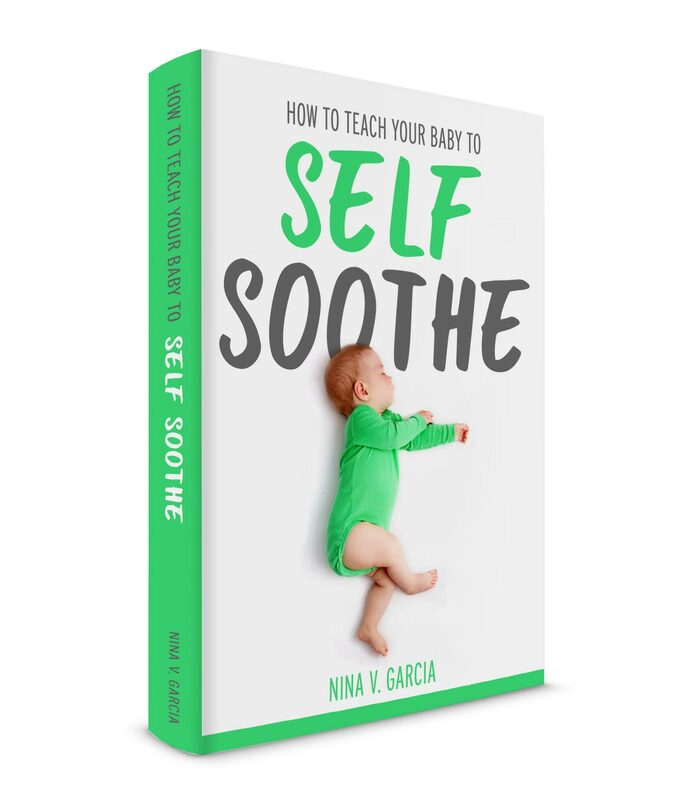 Learn the sanity-savings tips that will help you manage taking care of a newborn alone. I dreaded the day my husband was scheduled to return to work. Until then, he and I had been caring for our first baby, tag-teaming on putting him to sleep and getting him fed. With my husband returning to work, I was scared of taking care of a newborn alone with no one else to share the responsibilities. I imagined failed nap attempts, wondering how to get things done, and feeling frantic if I couldn’t get him to stop crying. I won’t lie: Those first few days and weeks of taking care of a newborn alone were a challenge. I doubted myself many times and felt incompetent about simple tasks like unfolding the stroller. And I even lost my temper when my baby wouldn’t nap, then felt so guilty right after. But I then began to rely on several strategies that made taking care of a newborn alone more doable. My confidence grew, and I felt more capable of caring for him on my own. I learned how to put things in perspective and eased the burden and guilt I was placing on myself. By the time it was my turn to go back to work, I felt different, as if I could handle almost anything parenthood would throw at me. A few years later and I had to repeat the same thing, this time with twins. 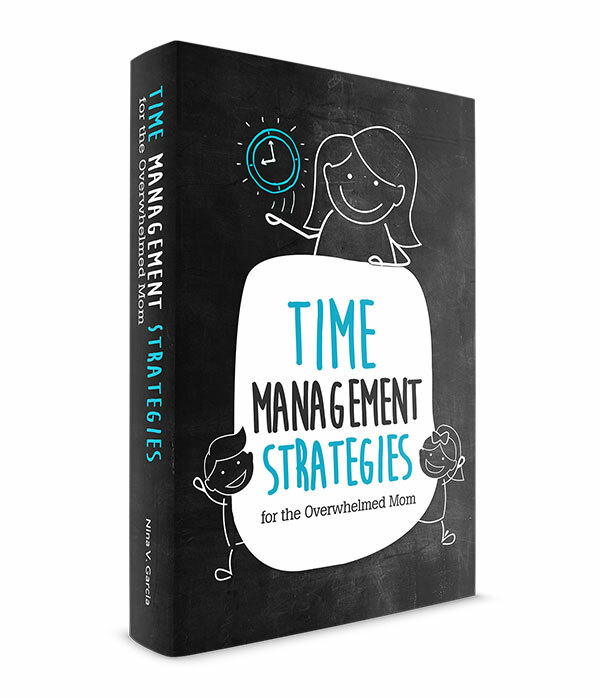 As chaotic as managing two babies and a three-year-old can be, I implemented the same strategies that helped with my first. During the first few days with a baby, the last thing you need is to tend to things you could’ve planned ahead of time, especially when the baby is crying and needs your attention. Stock the diaper bag with necessities so you can leave the house quickly. Unfold the stroller and place it by the door. Get your pump parts washed and ready to go. Have your nursing pillow and feeding tracker ready to go for the next feeding. The more you plan, the more time you can spend focusing on the baby. As you keep doing this, you won’t plan too much as you become more comfortable and accustomed to your new situation. In the meantime, thinking ahead can save you a ton of time and headache. I couldn’t believe I had actually considered not having a swing. When I was taking care of a newborn alone, the swing became my second set of arms, especially since he slept well in it. I also relied on the Moby wrap baby carrier, pacifiers, the stroller and white noise to help him sleep. I didn’t want to rely on too many sleep aids since I planned to wean the baby off of them at some point. But like my husband said, better to use them now for months’ worth of sanity in exchange for a few days’ worth of weaning. After all, you’re taking care of a newborn alone without anyone to pass him off to if you need a break. These baby items and gear are there to help you as much as possible during this challenging period. Make a list of simple errands or activities you’d like to do with your baby. Take a stroll around the park or drive to the nearby farmers market. Head to the library or visit a friend. Start simple until you get the hang of toting baby around. I added these “events” to my calendar, sticking to one activity per day so I’d have something different to do. Getting out also made me feel accomplished as I challenged myself with new activities. Change is difficult, from getting a new home, changing jobs, and yes, taking care of a newborn alone. Anytime I go through major changes, I remind myself that the first few weeks can be the most difficult ones. Think about the last time you moved homes. You had to get used to the new bedrooms or set up your utilities. How about when you started your last job? You had no idea how the company ran their process yet you still had to keep up and learn on the go. The same applies with caring for your baby by yourself. You’ll struggle with this new change, but in time you’ll find your groove and settle right in. Get more tips about caring for your baby. This is the season you’re in. As tempting as it is to wish for life to go back to normal, remember that this is the time for messy homes and endless to-do lists. Sure, take out the trash and cook a meal when you have time, but realize you can’t do many of the activities you used to before you had a baby. Give yourself a pass with a messy house (unless of course cleaning and decorating is your zen!). This does take practice, especially if you’ve always found it hard to accept “good enough.” If so, focus on ONE thing that’s most important to you. Maybe that’s getting ready in the morning, or making sure your kitchen is organized. For everything else, let it go. Offer new items and activities that will keep your older child quietly occupied. Involve them with household tasks like cooking, cleaning and helping with the baby. Spend time with your older kids while the baby naps. When you start feeling anxious, remind yourself you’ve done this before with your older kids. You know that the sleep deprivation won’t last, and you’ve learned a few tips from the first time around. If there’s any job that’s a “learn on the go” type, parenting is it. But you’ll surprise yourself by how much stronger you’ll feel and challenge yourself to try things that seem out of your range. You’ll find your rhythm and do things you once thought impossible. I didn’t know if I could handle my baby’s cries, and what I would do if he wouldn’t stop crying. I had no idea how I’d burp my twins at the same time by myself—I had always handed one off to my husband. But when placed in situations where you have no choice, you find a way to do it. You learn how to burp two babies and handle a fussy baby, even when it seems like he’ll never stop crying. You’ll get it done. Sure, you’ll struggle with a crying baby at the grocery or wish you never have to put another baby to nap ever again. But you’ll manage and, more importantly, think proudly about how you survived these first few weeks all on your own. Tell me in the comments: What are your biggest fears about taking care of a newborn alone? What are your best tips on taking care of a baby alone? Good to hear things are going well with you! I guess it’s all about adjustment to a new routine. I’m considering things for my newborn that I didn’t with the first (such as the swing) because I won’t have much help as my husband won’t be taking the time off this time. But I’m still in awe of you doing all this with two newborns and a pre schooler. I just hope my fodder is able to help out too and she doesn’t get too jealous…. I won’t lie: the first few weeks after bringing the babies home were pretty rough on my three year old. But now he has accepted that they’re not going anywhere 🙂 Hope that Lily adjusts to the new little one! So happy for you Nina!! Enjoy! Seriously Nina, you’re my hero. Enjoy reading your blog so much. Can’t even believe you have time to blog!! This of course, is another reason why you’re my hero. Love your tips! So glad things are going well for you. Thanks MaryAnne! So far so good *fingers crossed*. And just keep reminding yourself that it will get easier. That would be my advice as well. Oh, and to not beat yourself up when things don’t go as well as you would have liked.